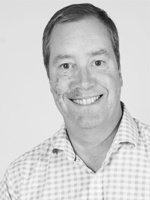 Jon is a joint owner of the business with Rebecca and is focused on building the property sales arm of Howland Jones. Jon's vision for performance growth is based on delivering "customer delight". "My passion (or labour of love) is gardening, where I can switch off and get some lawn therapy. My other occasional passion is driving fast cars - very fast; a rare treat. When I can't indulge myself in fast cars, then golf makes do - if I can ever find the time for it."